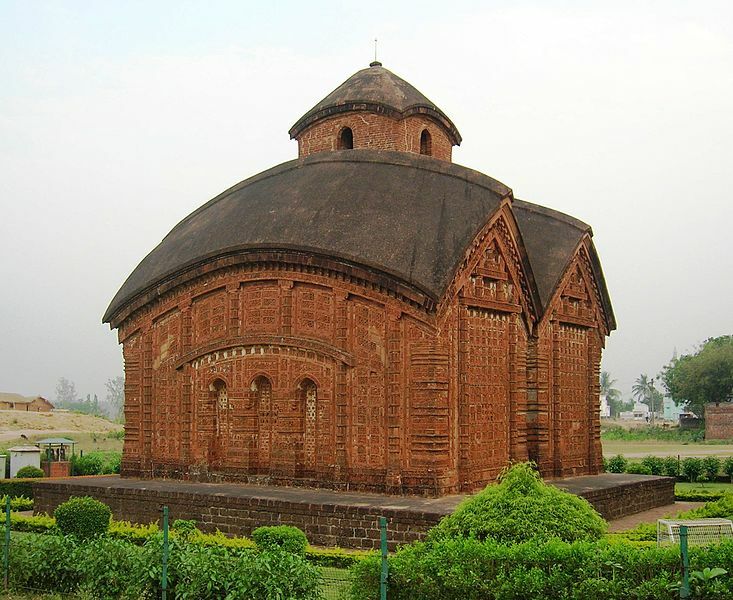 Bishnupur was the seat of the Malla dynasty who ruled more than half the Bengal for 1000 years till the Muslim and the British invasion came along. The ruins of the reign are still found in Bishnupur. This peaceful small town is abundant with natural beauty and the most famous terracotta temples. The Legend goes that Beer Hambeer king of the Malla dynasty once asked to loot the priceless jewels that were to pass his town. But instead of jewels it had priceless Vaishnav texts. After reading them the king decided to devote himself to Lord Vishnu and became a Vaishnavite. The name of the town has its origin in the devotion of lord Vishnu. The history of this town dates back to 694 A.D. when the Malla dynasty was established, but the temples, nearly thirty of them were built in the 17th to 18th centuries only mostly by Beer Hambeer.<br />The temples are dedicated to Radha and Krishna and since stone wasn&apos;t easily available, royal architects and craftsmen had to get very inventive with the red laterite soil found here to please their kings. The result was one of the most beautiful cities in the world of its time. Along with the temples, nearly 30 of them, there are water tanks called Bunds and also a beautiful Ras Mancha built by King Hambeer which stands out from the rest for the structures. In fact, it&apos;s the only temple of its kind in India with only one chamber and the rest is just three arched galleries that run around the deity&apos;s room. <br />The architecture of this place is very peculiar and the most popular is the Jor Bangla or the joint bungalow. It is best described as Siamese huts stuck together at the centre and topped by a common head. A single spire rises from the middle of the sloping brick roofs that are shaped exactly like the thatched top of a humble domestic hut. Jor-Bangla&apos;s walls are exquisitely decorated with terracotta pannels that depict scenes from Mahabharata, Ramayana and Krishna Leela. All the other temples are also ornamented with various mythological scenes from the life of Vishnu and his incarnations. 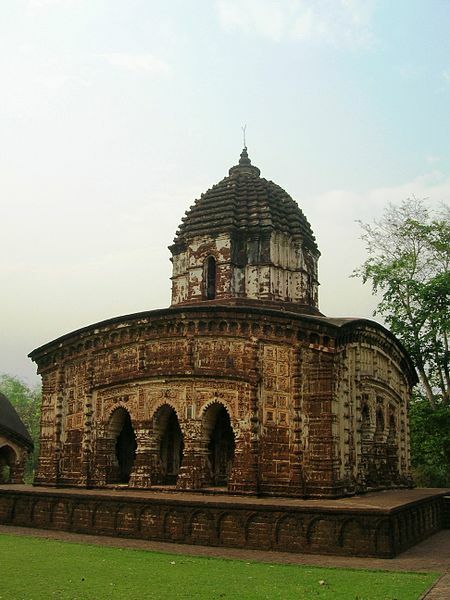 <br />Apart from the temples Bishnupur has given birth to the Bishnupur Gharana in Hindustani classical music. It is a distinctive style of music which is still followed and learned. Shopping for souvenirs in this quaint little town is but essential. Various articles made of terracotta including jewellery are exquisite. One of the most beautiful sarees of India are woven here the Baluchari which have mythological scenes from Ramayana and the Mahabharata embroidered on it. Last but not the least Bishnupur&apos;s sweets are very famous and tasty and one should leave the ancient town without them. 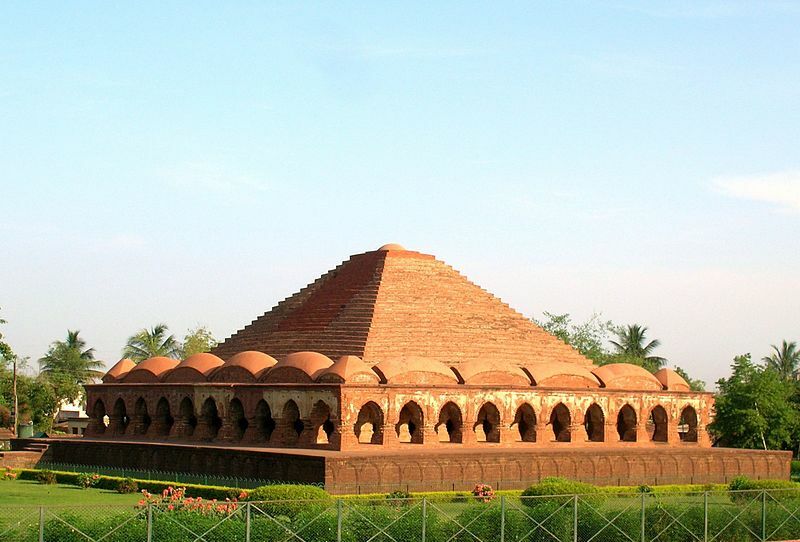 Located in the district of Bankura, this immensely beautiful town Bishnupur, famous for its terracotta temples is around 150 kms from the capital of the state of West Bengal, Calcutta.